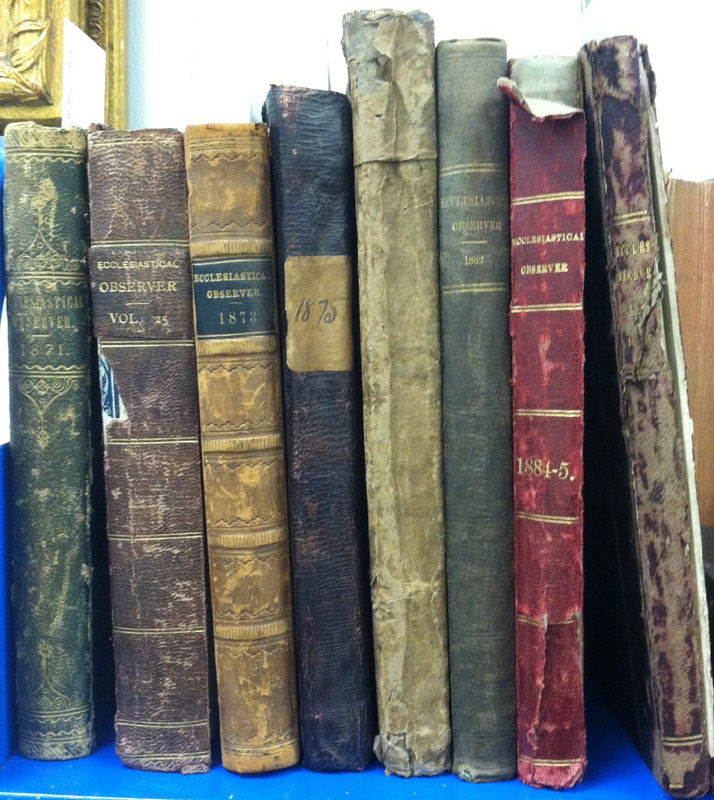 Our goal at Milliken Special Collections and Center for Restoration Studies is to be a comprehensive research center that can support a very wide array of research needs in Restoration history and thought. To that end we aim for fullness in our collections. And that means we are always on the lookout to fill gaps in the collection. And that means we are always looking for partners who value this mission. Many donors over many years built a fine collection. As we look to further enrich it, we can only do so through the kindness and generosity of partners and who donate materials, ensuring their long-term preservation and availability for research. Can you help fill in these gaps? Let’s partner together to build a comprehensive research-level collection. Contact Mac Ice at mac.ice@acu.edu or 325-674-2144. 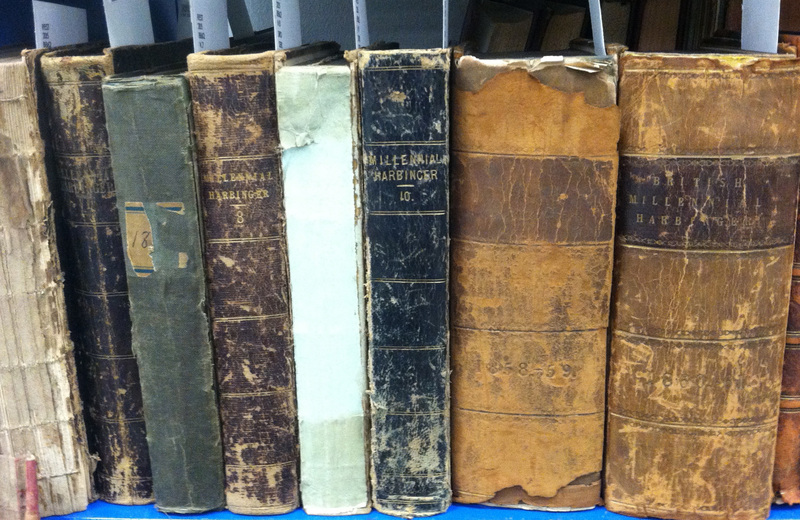 Another cataloging project completed in the summer of 2017 was the addition of sixty-three bound volumes of rare nineteenth and early twentieth century British Stone-Campbell periodicals. This gift broadens and deepens the holdings of the Center for Restoration Studies in a significant way. It affords greater opportunities for our students, faculty and patrons to research the British Stone-Campbell churches. Besides their richness in local congregational news and personalia, these periodicals reprint many items from American Restorationist periodicals and carry forward these ideals in British context. Thus they are a fine window into what of the American movement came back to England, how it was received there, and the invaluable detail of the evangelists and congregations. 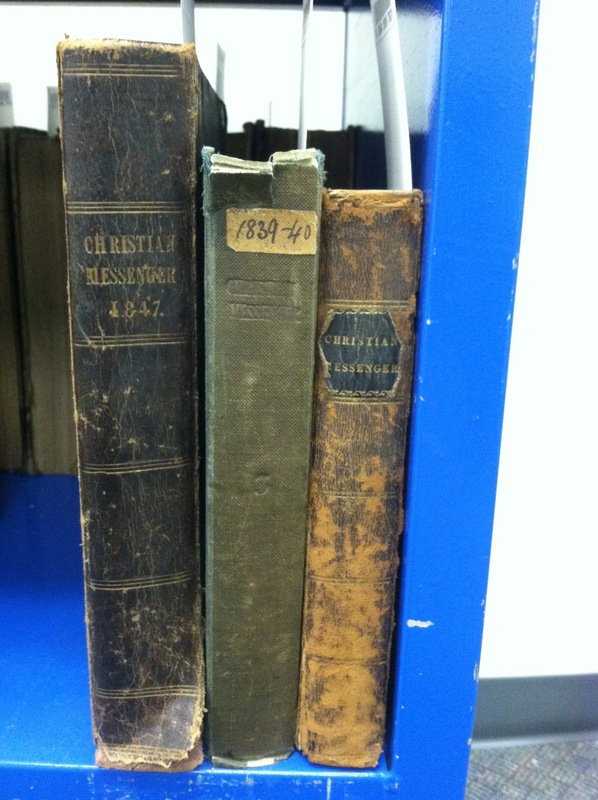 These are held in the collection of Center for Restoration Studies and available for research. The latest additions to Stone-Campbell digital archive reflect the diversity of this movement. A new online home for a 1960s-1980s periodical, rare ephemeral tracts and booklets, along with book-length collections of sermons, a debate, and a historical narrative round out this update. 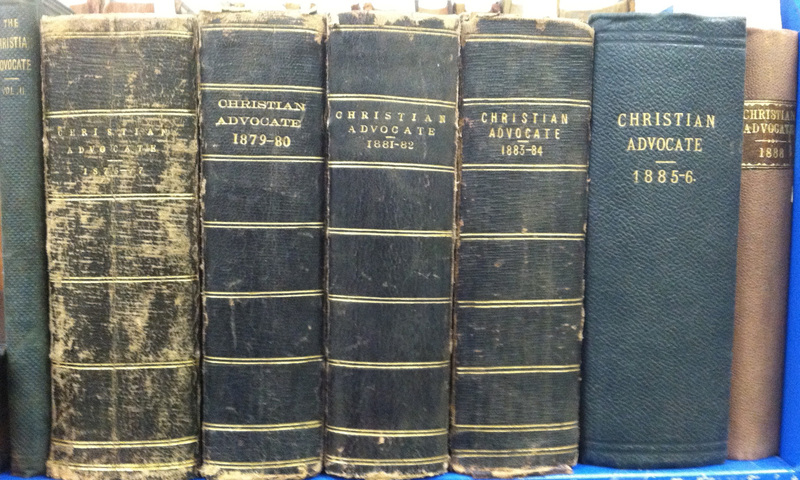 Mission Journal was a unique voice among Churches of Christ periodicals during its 20-year lifespan. 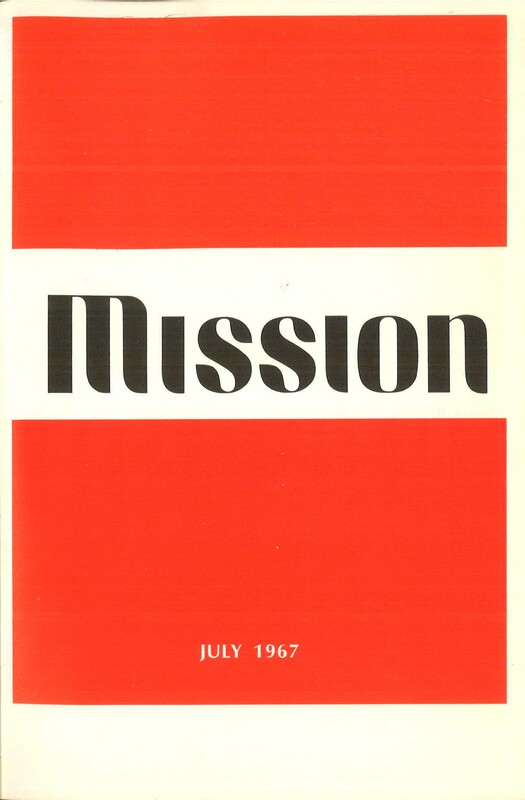 Established in 1967, Mission provoked discussion about a range of social issues such as the Vietnam war, race, gender and sexuality, poverty, consumerism and how Christian faith intersects the life of the mind and life in both city and suburb. In partnership with Missio Dei Journal and friends of Mission, we have launched a drive to fund a digitization project that will place the complete run of Mission online in a fully searchable and downloadable form. For more information about how you can assist with this project, visit Missio Dei Journal. 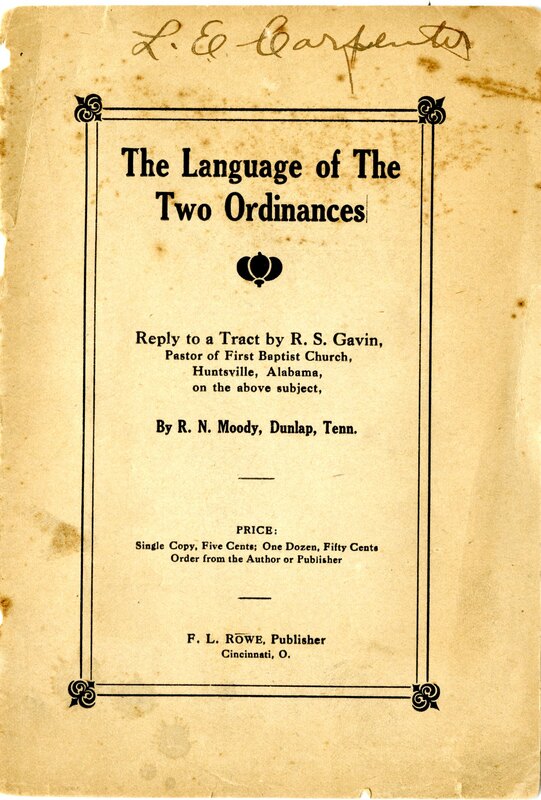 R. N. Moody’s 23-page tract is “The Language of Two Ordinances: Reply to a Tract by R. S. Gavin” concerns points of difference between Churches of Christ and Baptists about baptism. Undated, we estimate this tract appeared in the 1920s. Richard Nathaniel Hogan was in 1940 one of the most well-known young evangelists among African-American Churches of Christ. 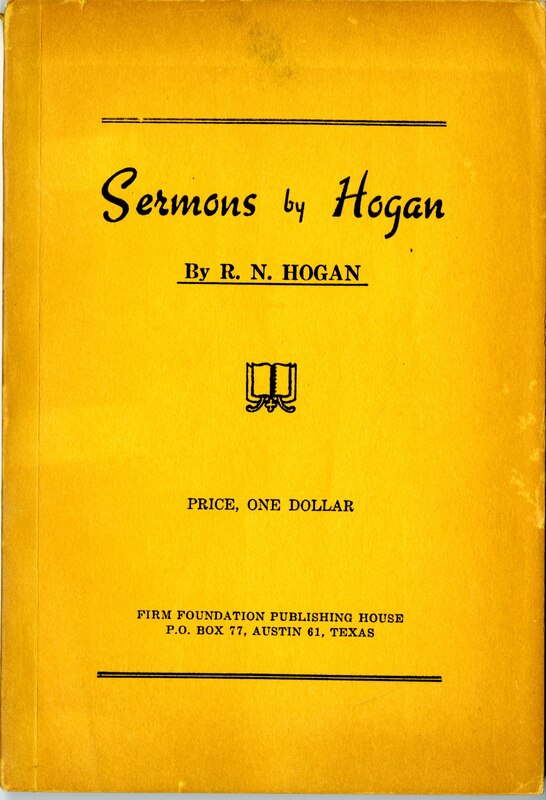 At the time (1940) his book, Sermons by Hogan, was one of only a handful authored by black preachers in Churches of Christ. It is a seminal text for the study of African-American preaching in Churches of Christ and we are pleased to make it available now for the first time online. 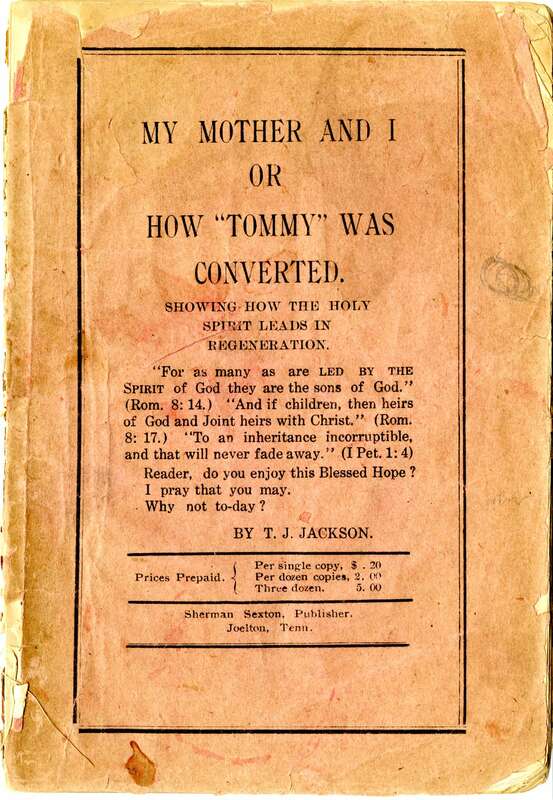 In 1910 Sherman Sexton of Joelton, Tennessee (just north of Nashville), published a pamphlet of about 36 pages by T. J. Jackson entitled My Mother and I or How “Tommy” Was Converted: Showing How The Holy Spirit Leads in Regeneration. A scarce item, with only our copy showing on Worldcat, this item will prove useful to anyone studying the Holy Spirit in Restoration thought and history. C. P. Roland’s Vanderbilt University MA thesis concentrates on the history of the Disciples in Tennessee to 1850. Completed in 1931, it is an important early narrative thesis pulling together the early story of the Campbell movement in that state. 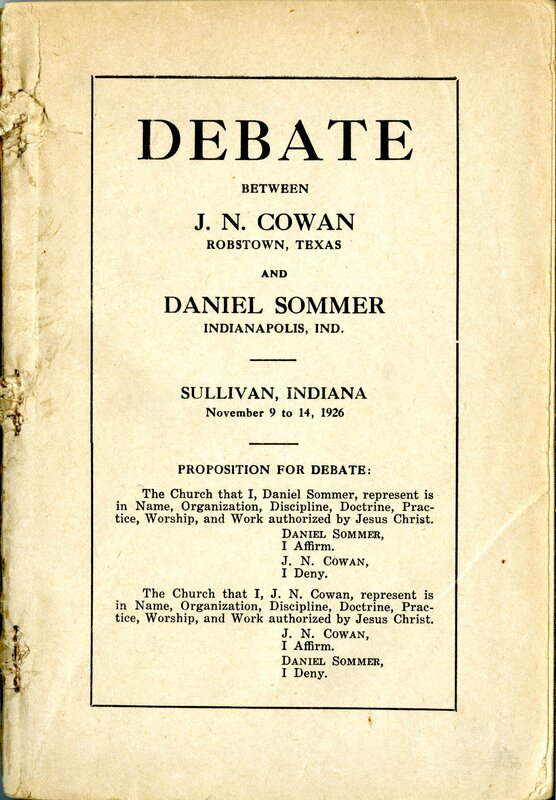 J. N. Cowan of Robstown, Texas and Daniel Sommer, of Indianapolis, Indiana, debated for nearly a week in Sullivan Indiana in November 1926. Through the lens of this debate, we may explore the disputants’ doctrinal commitments in several areas, especially how they read the Bible and apply its teaching to the life of the church. An interesting item of ephemera is pasted into the back of this book: a 1941 newspaper clipping describing a terrible accident that claimed Cowan’s life. 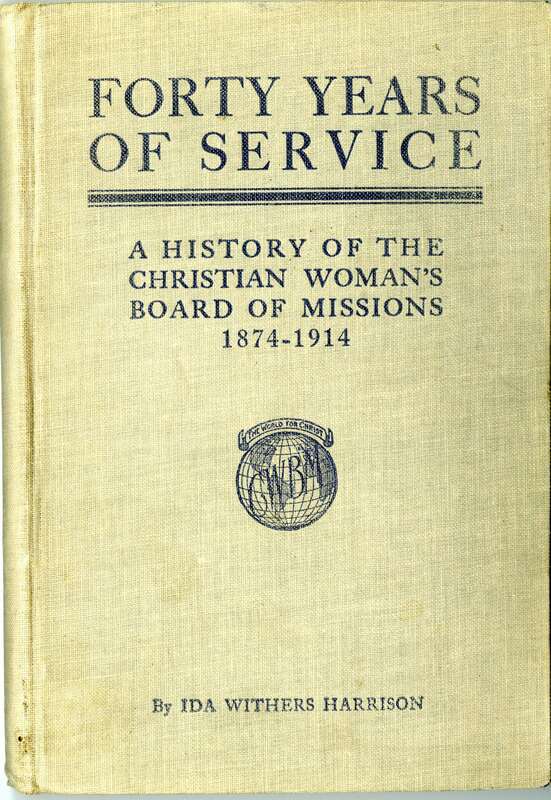 In about 1914 Ida Withers Harrison compiled and published Forty Years of Service, A History of the Christian Woman’s Board of Missions 1874-1914. 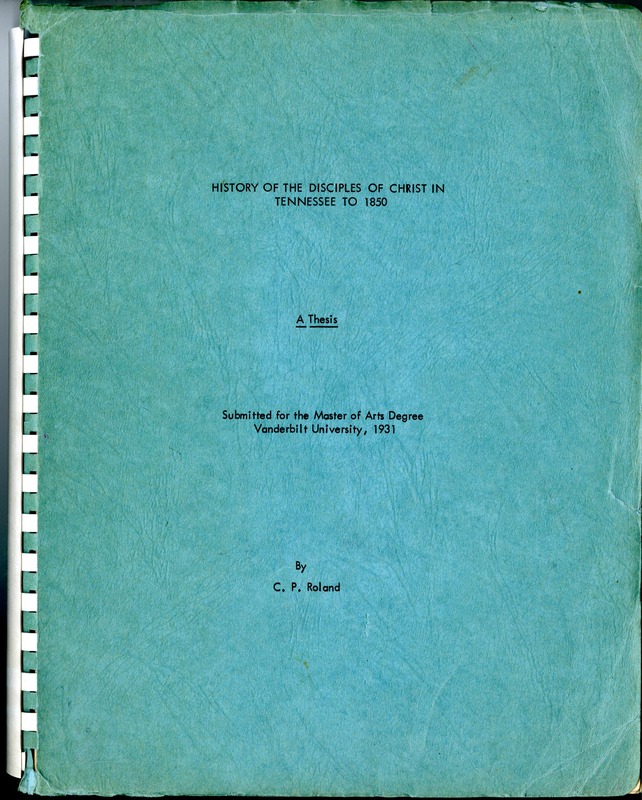 This 162-page text describes the work of this missionary society before its incorporation into the United Christian Missionary Society in 1919. The Stone-Campbell Books section of our online digital archive contains fully searchable and downloadable texts from across the Stone-Campbell movement from the 1790s to the 1970s. 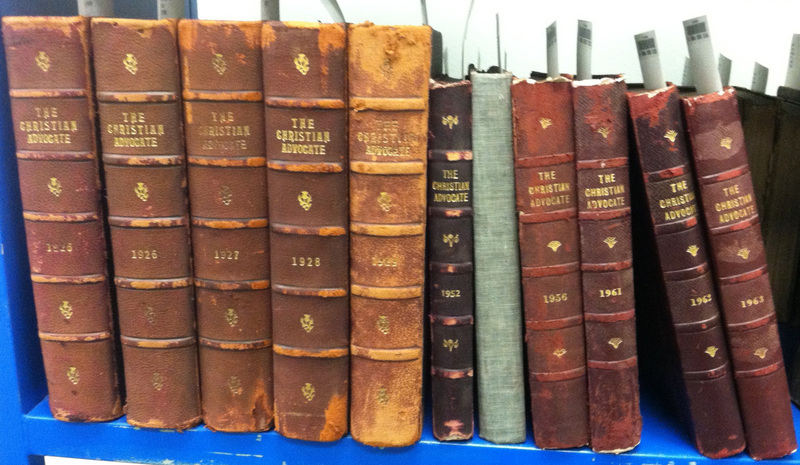 We scanned several dozen new additions over the summer; check back often for further updates.